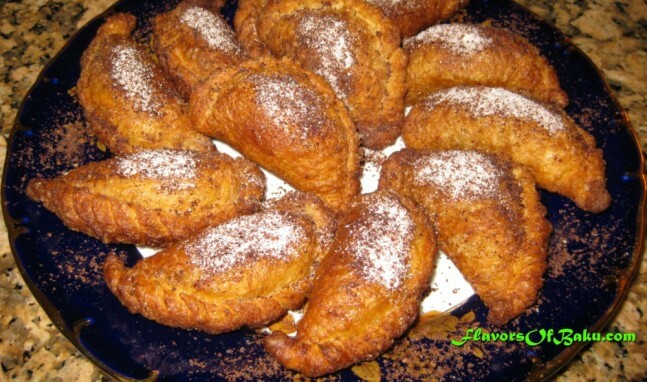 Chudu is perhaps the most unusual food item in Azerbaijani and Mountain Jews cuisine. 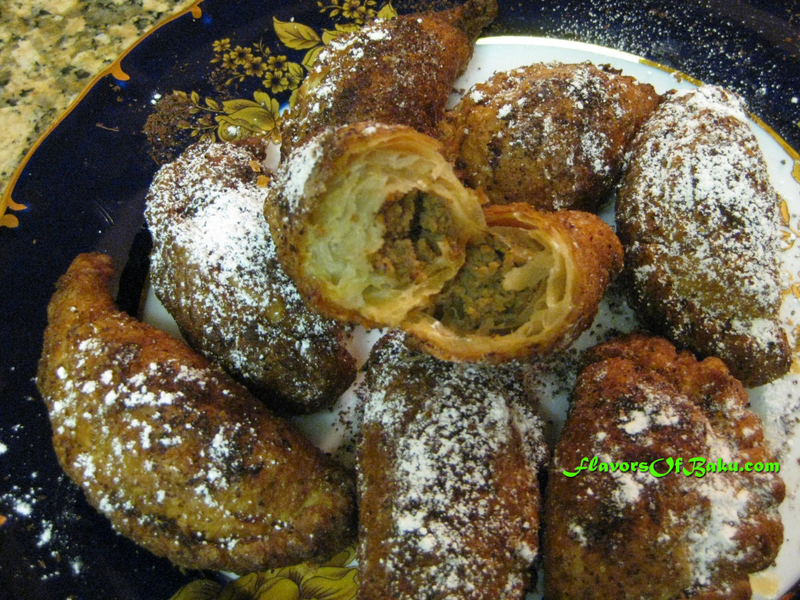 It is a crispy puff pastry stuffed with the meat, fried in the oil, and sprinkled with a sugar and sumac (savory spice). This unusual combination of sweetness and sourness makes Chudu very unique. Dissolve the dry yeast in a cup of warm milk along with one tablespoon of flour and one tablespoon of sugar and let it rise in a warm place. Mix together the remainder of the flour and grated butter (be sure that the butter is chilled) in a bowl until the mixture is coarse and crumbly. Add the egg, the salt, and the yeast mixture to the mixture of flour and butter. Knead the dough until it is consistent in texture (add flour if needed). Wrap the dough in plastic wrap and refrigerate it for at least two hours (or, preferably, overnight). If you put the dough in a warm place, you will get the regular dough, not flaky. Place the meat in the pot, add the water just enough to cover the meat and bring to a boil. As the meat comes to a boil, skim the foam off, reduce heat to low and simmer the meat for about one hour until meat is cooked. Allow the meat to cool down in its own broth. Remove the meat from the broth and cut into small pieces. 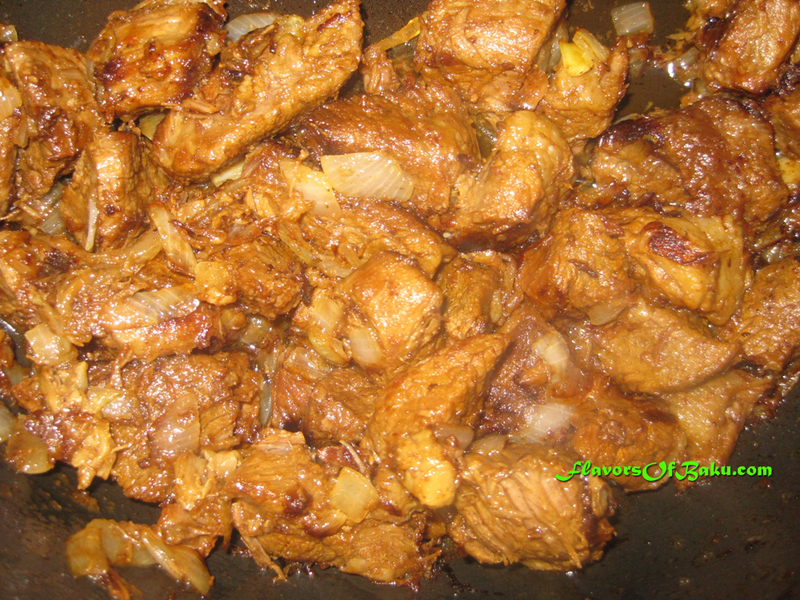 Place meat in a frying pan, add salt, pepper and finely chopped onion. Fry in the butter or oil until golden brown. 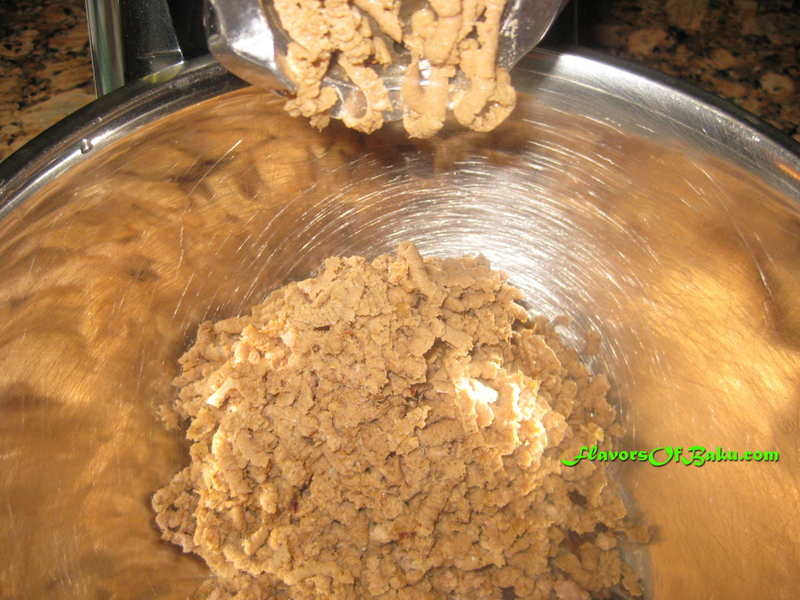 After you are finished frying the meat and it has sufficiently cooled, run it through a meat grinder and add a few tablespoons of meat stock. Your stuffing is ready. Divide the dough into small balls. 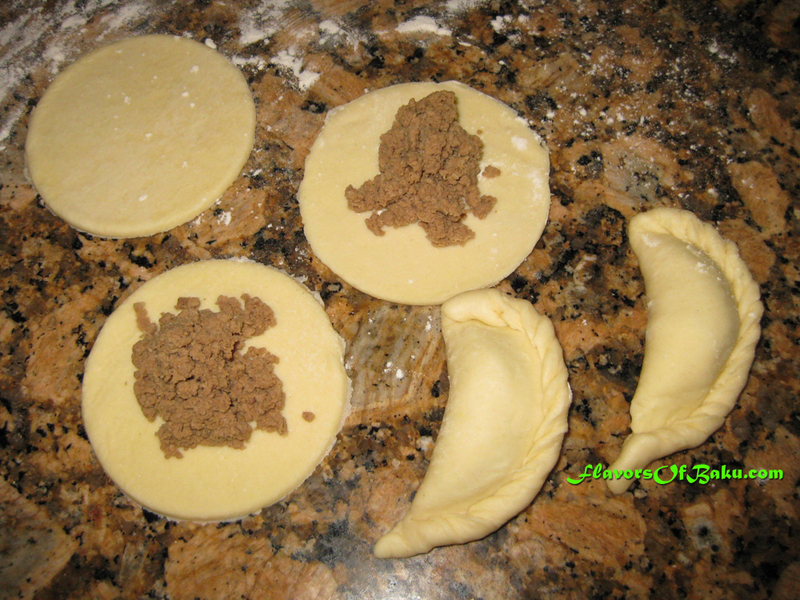 Roll out each ball and place a tablespoon of the meat stuffing in the center. Fold in the ends and pinch the sides together like a Cornish pasty. Preheat the oven to 400 F (200 C) and place Chudu in it for 5 minutes, no more! otherwise Chudu will unfold. Remove them from the oven and fry them over medium-high heat in olive oil until they are golden brown. Sprinkle Chudu with sumac (dried and ground barberry) and powdered sugar. Sour sumac and sweet sugar will give a crispy beef patties some original flavor.